Chalice Dungeons - The game's chalice dungeons are an interesting and unique addition to Bloodborne which haven't really appeared elsewhere. They are procedurally-generated dungeons that offer players the opportunity to hunt for rare loot and face off against greater challenges and restrictions (such as defiled dungeons which halve your health bar). They also have some unique lore (providing the background to the game's events), enemies and bosses that can't be encountered elsewhere, giving them more prominence to the game experience. Unfortunately, chalice dungeons are also just kind of a slog in part due to the procedurally-generated nature of them. Some people might be into them, but the only reason I forced myself through was that I had to in order to get the game's Platinum trophy (and was by far the biggest obstacle to achieving that goal). Invasions Are Rare - Due to removing hollowing from this game, FromSoftware had to change the way that invasions work. In Bloodborne you can be invaded if an enemy ringing an ominous bell appears in your world, which happens when you call for a co-op partner, or in certain areas where they spawn naturally. On the one hand, this allows players to control when they expose themselves to invaders rather than having it be constant, but it does make them very rare to come across. 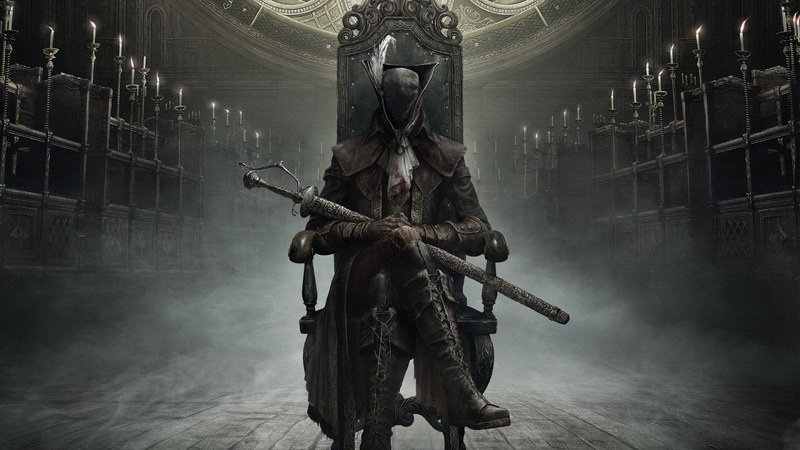 Low Build and Equipment Diversity - Players who are used to Dark Souls' "play however you want" philosophy will probably be disappointed by Bloodborne's comparatively-limited selection of weapons and equipment. While each of these weapons play fairly differently due to the trick weapon system, the game just has less options across the board. With no encumbrance stat, players are forced into a light armour character. Magic isn't really an option either - you can acquire items, such as the awesome Augur of Ebrietas, which serve a similar function, but are not something you can create an entire build around due to their very limited uses. Firearms are also rather limited, requiring excessive investment in Bloodtinge in order to do any real ranged damage, making them only useful for parries. Blood Vial Farming - Bloodborne's healing system involves a consumable item called blood vials, which you can carry up to 20 of at a time. Unfortunately, they have to be acquired throughout the game world. You might easily have hundreds of blood vials in your inventory, but you can hit a difficulty spike that drains all your blood vials, forcing you to go back to earlier areas in order to farm more. I had this happen once or twice late in my first playthrough and it was incredibly annoying. This was even worse when the game launched, because your on-hand inventory wouldn't automatically refill from your supply when you died. A Couple Lame Bosses - Bloodborne's stable of bosses has less stinkers than most Souls games, but there are a few which stand out because of how much lower their pedigree is than the others in this game. The Witch of Hemwick in particular is not very challenging at all, and Micolash is embarrassingly weak for a late-game boss. In fact, the last 2 or 3 bosses before the final boss(es) are pushovers in comparison to the early-to-mid game bosses, suggesting a lack of proper playtesting to balance them.